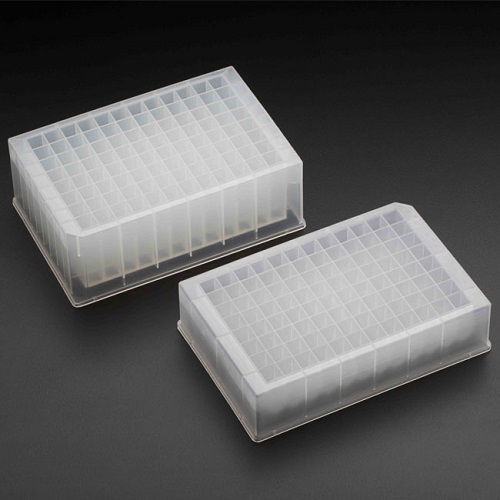 Deepwell Plates are an ideal product for sample storage – short and long term, tissue culture work, enzyme assays, and can be used as reagent reservoirs. 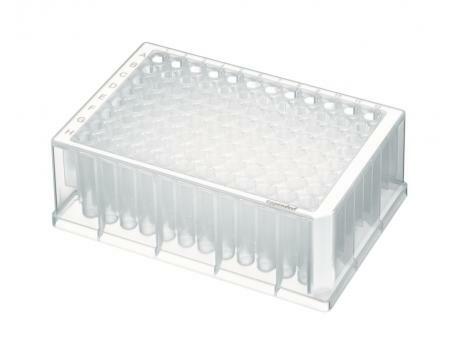 Pipette.com carries Deepwell Plates from Eppendorf, Scientific Specialties (SSI) and Simport providing you with an opportunity to select the right Deepwell Plate for your lab – ranging from the most durable and high-quality tubes to more economic alternatives if you are on a tight budget. 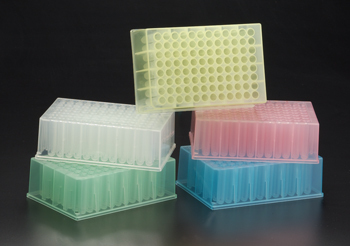 All Deepwell Plates have an SBS Footprint and can be used with automated/robotic equipment and are RNase, DNase, PCR Inhibitor FREE – Sterile Tubes are, also, Pyrogen FREE. Manufactured with either the highest quality Polypropylene or Polystyrene, these deepwell plates are built to last. Many of the deepwell plates come with a number and letter grid that allow for fast, easy tracking of specific wells without the need of having to write on the plates. Most of these plates can withstand extreme temperatures, making them excellent for cold-room applications and cryo-storage along with incubator applications and being fully autoclavable. 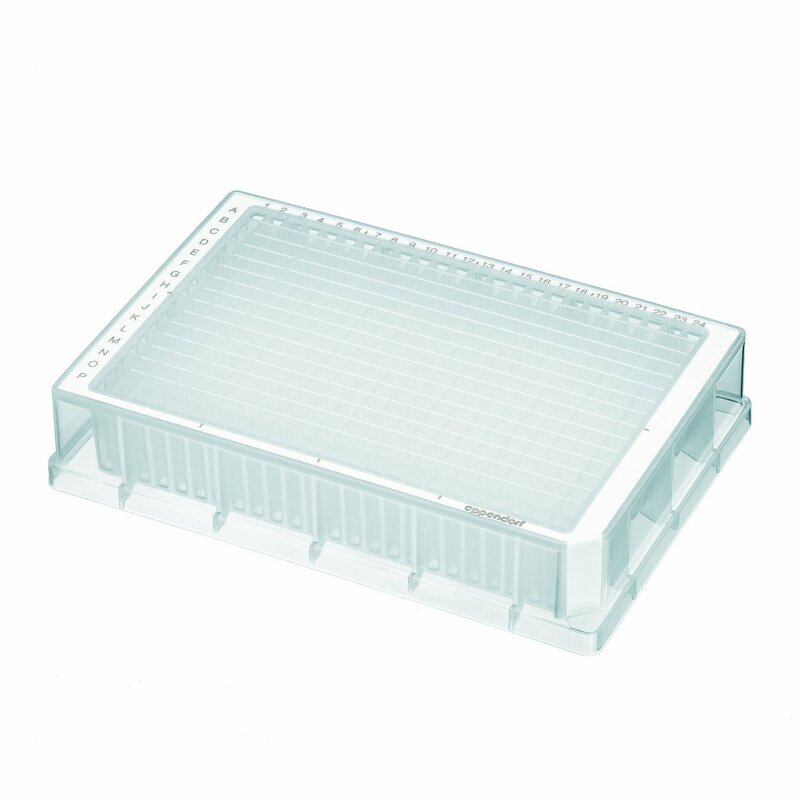 Eppendorf offers a line of Deepwell plates, DNA LoBind plates, and Protein LoBind plates. These plates are designed with specific polypropylene batches to ensure that nearly 100% of all DNA/RNA or protein molecules are recovered from the well. This manufacturing process prevents any of the molecules from sticking to the sides of the wells without any special surface coating, potentially eliminating any contamination that might occur. 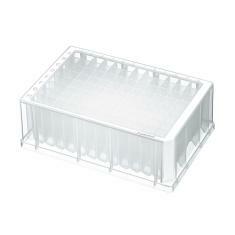 With a raised well rim and even surface, each of Eppendorf’s wells are made for reliable sealing. Autoclavable and stable under centrifugation, these deepwell plates are perfect for any laboratory. Simport Bioblock Deepwell plates come in a variety of available colors for easy identification and color-coded use. 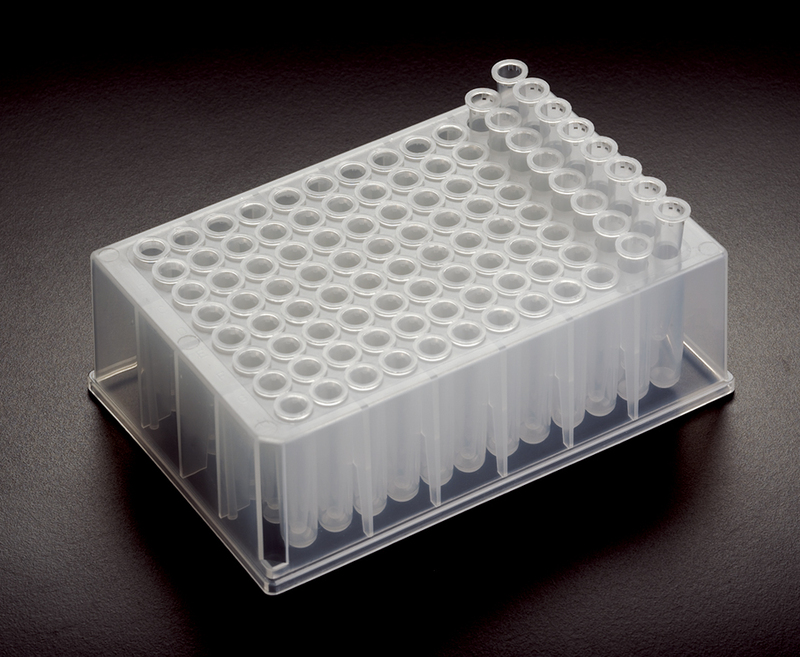 These deepwell plates are ideal for laboratories that are utilizing them for storage and need to be able to distinguish between samples. Simport also offers reinforced deepwell plates to withstand greater G-Force. 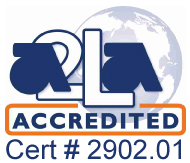 Please refer to each brand for the specific working volume, temperature storage range and centrifugation ratings. Verify if deepwell plates are DMSO resistant or not to fit your laboratory’s needs. 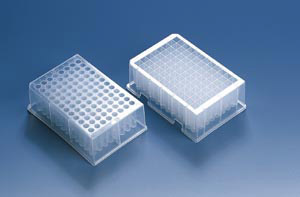 Made of polypropylene These plates feature 600 µl wells for smaller volume applications. They include a T110-5 deep well plate along with twelve T110-15 8-tube strips (see below). In the T110-2 model, tube strips are removable and can also be ordered separately. In the T110-3 model, tube strips are welded by ultrasound. DMSO resistant. Packed in bags of 4 plates. New to Pipette.com! These deep well microplates are made from high-quality polypropylene and come packaged both sterile and non-sterile.